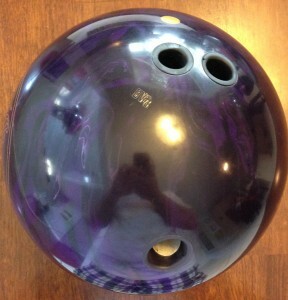 This DV8 Dude reminds me a lot of one of my favorite balls in terms of ball motion, the Storm Furious. A little more length and nice snappy punch on the backend.. The DV8 Dude offers good bang for the buck. It’s very usable on most house conditions. The Dude core has a higher RG of 2.557 with diff of .040. This allows the ball to get down lane and make a consistent punchy move. The Class 4F Reactive coverstock is finished with 500 Siaair Micro Pad / Royal Compound / Royal Shine from the factory. Here’s the lowdown with the DV8 Dude. With the out of box finish, this ball has easy length, as easy as the Brunswick LT-48. However, it’s much snappier on the backends. So while the LT-48 can play more direct and not give away the pocket, the DV8 can play direct and crush the pocket. With that comes the risk of going through the face. So basically there isn’t much problem getting this ball through the heads. It’s snappy on the backends. That means there’s good punch. It’s not boomy, just snappy. The DV8 is also quite versatile. It will match up quite well to most medium THS conditions. It is playable on medium-dry conditions as well. However, you have to be really careful the ball doesn’t run too hot on the backends. You have to be firm with your hand to keep it on line. It’s a bit much for dry conditions. However, because of it’s backend punch, you can get deeper and still get nice carry with this ball. On heavier conditions, I took the surface down to 1000 grit to test. It made it a very different ball making it read much earlier and much smoother. The ball still had a strong move on the backend. Good carry overall in my personal experience. To give you a comparison to other bowling ball lines, this ball rolls very similar to the Storm Wipe Out with the Turbine core. Although the cores look quite different, in hand, they seem to go about their business in very similar ways. 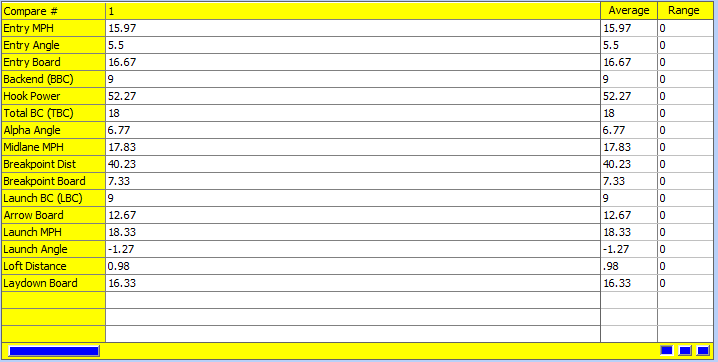 As you can see from the Digitrax analysis below, the DV8 Dude generated 5.5 degrees of entry angle on this medium condition. Target around 13 at the arrows and 7 at the breakpoint.